Sleep deprivation may impact physical and mental wellbeing in more ways than you think. It could trigger chronic health problems like obesity, diabetes, stroke, or kidney disease, lead to difficulty in concentration, and even impact rational judgment. A new study deduced that people who sleep in messy bedrooms (especially those at high risk for hoarding disorder) were more likely to have trouble falling asleep. They were also more prone to experience other disturbances. If you are one who loves to have random stuff lying on your bed or in your room, it may time to start decluttering on a weekly or daily basis. It will prove helpful in getting some disturbance-free shut-eye. Preparing yourself for the next day will help you stay focused and ahead of things, saving time the next day. Also, a set time for sleep will help regularize your body’s internal clock. Keep track of the timing, when you go to bed and when you wake up naturally. Here are certain tricks to get you out of bed. Place your alarm clock at the far end of the bed. This will force you to get out of bed to turn it off. Set up a clock radio to turn on in the kitchen 5 to 10 minutes before you wake up. You would be able to listen to the news/music and start your day on a fresh note. Limit caffeine intake 8 to 10 hours before bedtime. Caffeine stimulates the nervous system, making it harder for you to fall asleep. Avoid waiting for a snooze. Get up as soon as your alarm clock goes off. Don’t rely on the snooze button. Do light exercises before going to bed. If you are an athlete and preparing for some marathon or athletic meet, exercise 4 to 5 hours before bedtime. If you plan on exercising much later in the night, stick to light workouts. Penning down your thoughts at the end of the day will help you release tension. As humans, we tend to over-think and mull over small issues that tend to magnify them in our heads over time. Writing is a healthy way to give structure and then let go of stress and anxiety. It will make it much easier for you to wind down before bed. Meditation is a great way to de-stress the mind and body. It works wonders before bedtime as it helps you focus on breathing and improves your awareness of the present moment. It also evokes a relaxation response from the body and any kind of stress you have felt through the day will just melt away. As proved by a number of studies, music can ease stress and anxiety and help you fall asleep. But, the music you play should have a slower tempo. Create a playlist of your favorite soothing melodies and try to choose instrumental music over loud songs. How you perform during the day depends greatly on the quality of sleep you get. Not only does a good night’s sleep lower the risk of various health issues, but it also increases productivity, improves sharpness, and helps with emotional balance too. 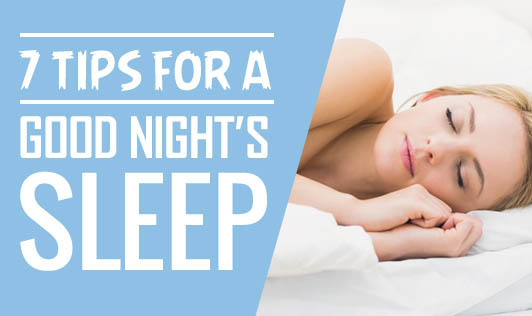 Therefore, establishing good bedtime practices is key.